You will Watch G.I. Joe: A Real American Hero Season 2 Episode 4 online for free episodes with HQ / high quality. Stream cartoons G.I. 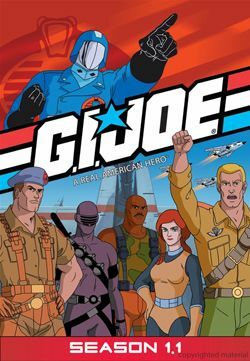 Joe: A Real American Hero Season 2 Episode 4 Arise, Serpentor, Arise! (Part 4) The Joes plan an attack on Cobra Island and suddenly find out Cobra’s true plan for DNA gathering: to create the Cobra Emperor known as Serpentor.